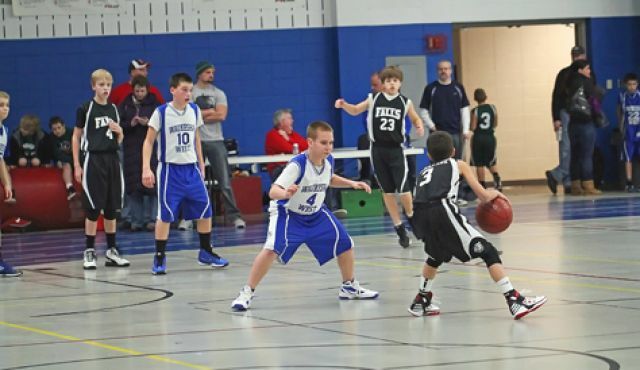 There is much debate among youth basketball on when a child should start skill development and what it should look like. This is an important time for players and it can either foster a great love for the game of basketball or turn a player off completely. This article is going to point out some great coaching tips that can be applied to children's basketball drills and skill development at an early age. At What Age Should Skill Development Start? When is your child old enough to start doing basketball drills? This is an important question because if you start your child off too young then you risk the chance of driving them away from the game because they see it as a chore and not fun. On the other hand if you are not doing basketball drills then your child may miss out and be farther behind other kids their age. The answer is that they can start at any age but there is a list of guidelines that need to be followed when starting your child's basketball training. If you are going to start your child early with basketball drills make sure that the drills are fun for the child. Don't make it a chore, but treat the drills as if they are a game. At this point in their young basketball careers developing a love for the game is more important than being able to dribble the ball like Chris Paul. Mix in the more difficult drills with little basketball games that the child likes. Sacrifice what might be a short time growth in skill for a lifetime of improvement because he/she will develop a true love for the game of basketball. When doing basketball shooting drills don't let your child shoot outside their strength. What I mean by this is if they have to throw the ball with all their strength and launch it from the hip they are too far out. Get them a smaller ball, lower the hoop, and teach them the right form. Too many kids develop bad form when they are little for the simply fact that they aren't strong enough yet. The distance will come as they get older. Every child is different and so is their skill level, so when deciding on the right drills it can be difficult. Choose a variation of different drills at several difficulties and just gauge where your child is at. If a drill is too difficult and they can't quite seem to get it, pick an easier one and let them work their way up to it. This comes back to allowing your child to enjoy the game first and then developing that drive a little later on. You are going to work the hardest at the things you enjoy doing the most and this is the same for your child. Start at an early age explaining the game to your child. Just as it is easiest to learn a foreign language when you are young, developing and understanding of the game of basketball at a young age will allow for that child to be able to understand the game, so much better as they get older. Establish the building blocks that they will need as they get older and really get into the game of basketball. Help your child to get better with basketball drills but do it in the right structure and the benefits will be there for a lifetime. Remember that basketball is a game, and when a kid is young there needs to be pure enjoyment in the game itself for them to truly be motivated.